North Korean Ministry of State Security (MSS) agents have been ramping up the issuance of monetary fines for Chinese business people and drivers in the country for various infractions. “Chinese tourists have their phones confiscated by travel agencies so they cannot make calls, but business people and truck drivers are under no such restrictions and could previously receive calls from China without issue,” he continued, adding that international calls to China are permitted within a radius of one kilometer of the customs office. MSS agents have long forced North Koreans to pay bribes in exchange for letting them off the hook for making international calls. But these agents are now more pressed than ever to find ways to earn money and it appears that Chinese nationals are now in their crosshairs. The North Korean government keeps a watchful eye over the activities of its agents, but corruption has such deep roots within the MSS that agents have no qualms with taking advantage of Chinese nationals. One of the driving forces behind the push to earn more money is the nationwide requirement to pay “loyalty funds,” which is aimed at supporting development of the Wonsan-Kalma marine tourist zone and the Samjiyon area. On top of their surveillance of cellphone users, MSS agents are also fining Chinese vehicles that carry North Korean passengers. ‘There are cases where Chinese truck drivers take on North Korean passengers to make a little extra cash, but MSS agents are cracking down on this activity and fining the drivers 500 KPW for each male passenger and 1,000 KPW for each female passenger. Chinese drivers are now increasingly ignoring hitchhikers on the road,” a source in North Hamgyong Province added. …More signs of “forward to the past”? The North Korean authorities are operating enhanced controls on transit through the region of the country closest to China, including close checks on the documentation of travellers passing through in the direction of the Sino-North Korean border. Part of the process means it has become more difficult to obtain travel permits. Although the issuance of such permits was recently resumed following months of combat mobilization and other activities that limited movement, the process of traveling through the border is making life difficulties. Even for those with a permit there are still multiple layers of security and checks on the way to the border. Travellers ensnared by the checks are supposed to be detained locally until a security agent from his or her area of residence arrives to deal with the case. However, payments of 50,000 to 100,000 Won are apparently sufficient to attain release for those who simply don’t have the right transit permits. The only ones whose release cannot be obtained so easily are those caught with South Korean materials in their baggage; they face re-education or labor camp sentences, sources say. More than two dozen North Korean spies have been arrested in the past five years of South Korea’s outgoing government of President Lee Myung-bak, officials said Sunday, a nearly 40 percent rise from the previous administration. A total of 25 spies have been arrested in South Korea since the Lee government was launched in early 2008, officials said. That represented a 39 percent increase from 18 spies caught in the previous government of President Roh Moo-hyun. By year, two of the 25 were caught in 2009, 10 in 2010, five in 2011, and eight between 2012 and January this year. In particular, 14 of the spies came to South Korea posing as defectors, officials said. Last week, intelligence sources said they arrested an official of the Seoul city government for spying charges. The 33-year-old came to South Korea in 2004, disguising himself as a North Korean defector. In 2011, he was hired by the Seoul city government as a two-year contract official. Yoo’s job at the city government was helping North Korean defectors, and he has been charged with passing to Pyongyang sensitive information about thousands of North Korean defectors living in Seoul. Today The Committee for Human Rights in North Korea (HRNK) is releasing “Coercion, Control, Surveillance, and Punishment: An Examination of the North Korean Police State” (PDF) by Ken Gause. Information from inside North Korea suggests that jurisdiction over border security has been moved from the Ministry of People’s Armed Forces to the National Security Agency(NSA), in a special order given by new leader Kim Jong Eun which has seen border security units undergoing an administrative switch to the NSA on April 16. In North Korea today, those actions which are subject to the harshest oversight and most excessive punishment are those deemed anti-socialist, an expression of the extent to which such actions are seen as a threat to the regime. Yet these very actions have already taken deep root in people’s lifestyles, spreading rapidly as a result of chronic economic difficulties, food insecurity, endemic corruption and the inflow of information from abroad. First of all, every North Korean and defector the Daily NK meets says much the same thing; that if people had not followed an ‘anti-socialist’ path during the mid-90s famine, they could not have survived. The power which maintains North Korean society through the hardest times is that derived from anti-socialist actions, and it is those actions which the authorities would like to put an end to. The blocking of these so-called ‘anti-socialist trends’ nominally began with Kim Jong Il’s 1992 work, ‘Socialism Is a Science’, issued following the fall of the Eastern Bloc. A time of great fear for the regime, ‘Socialism Is a Science’ expressed a determination to block out anti-socialist phenomena. However, a famine exploded nationwide shortly after the publication of the thesis, placing these very anti-socialist modes of behavior at the core of the lives of almost everybody in the nation. Having completely replaced Kim Jong Il and the Chosun Workers’ Party as the alpha provider of sustenance, money is now uppermost in the minds of the people. If they can, they are moving away from the collective farms, factories and enterprises to become more active in the market. Money, then, is the fundamental toxin that now threatens to shake the very basis of the Kim regime, completely undermining the ‘let’s work the same, have the same and live well’ lifestyle that the regime has long been demanding from the people.The authorities, as part of a losing battle to halt this slide, ‘educates’ the people with the mantra, “Don’t become a slave to money,” but it makes no difference. People are growing more and more money-oriented. What simply began as a desperate rearguard action to survive extreme poverty has become a preoccupation with accumulating wealth. The many who don’t have the capital to start a business are keen to work with those who do. Given that the central authorities demand Party funds from regional bodies, and regional Party and military cadres in turn work with smugglers, and the cadres charged with inspection turn a blind eye to criminal acts in exchange for bribes, the whole system is, as the interviewee said, rotten from the top down. Increasing exposure to foreign materials is also influencing the situation somewhat. Such things are especially popular with students and women working in the markets, two groups which are more up-to-date than most. To the North Korean people, who once lived in near complete isolation from the rest of the world, the introduction of foreign materials has intensified their yearnings for a new life style. The stricter the regulations become, the thirstier for something else the people become. ‘Anti-socialism’ in North Korea is a destabilizing force disturbing the foundations of the system. For that reason, the authorities place a great emphasis on rooting it out. Inspections are frequent and their targets varied. But the fact is that this has done little to stop the growth of such activities; in fact, quite the opposite; some believe that targeted inspections actually increase instances of smuggling, for example. 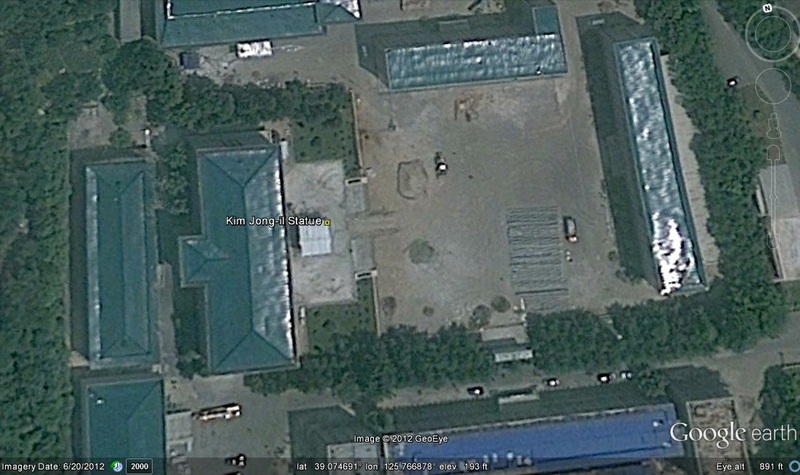 These focused inspections are handed down in the name of the ‘Party Center’ in other words Kim Jong Il. The latest inspections over anti-socialist trends in border areas have been being carried out by Kim Jong Eun’s direct instruction. First people are educated about and warned against ‘anti-socialist behavior’, then provincial Party and military cadres launch an inspection. If a concerted inspection is to be unleashed on a given area, an inspection unit is set up, and it does the work. In the case of recent inspections targeting drugs and defection, the inspection units have even been sent from the Central Committee of the Party. The makeup of the unit can differ slightly depending on the target of the inspection, but usually includes agents from the National Security Agency (NSA), People’s Safety Ministry and Prosecutors Office. Precise search sites are usually selected at random and the searches conducted without warning, while ‘criminals’ are flushed out in part by getting citizens to report on one another. However, the effectiveness of this system has a limit. This is primarily due to an overwhelming degree of official corruption at nearly all levels. The primary agents conducting the inspections, agents from the NSA and PSM, collude with smugglers for their own benefit. Anti-socialist activities are not a new means of survival, and the more commonplace the inspections become, the more focused the agents doing it become on their own self-interest; i.e. rent seeking rather than uncovering instances of wrongdoing. Then, when the inspecting agents begin dropping heavy hints about expensive merchandise, electronics or a piano, for example, the smugglers say, “I’d be delighted to buy that for you,” and for that receive their freedom. Thus, it is rare for money to change hands directly; goods are bought in China and handed over when the inspection period has come to a close. The smuggler also obtains a permit to import a certain amount of other goods without penalty in the future. By winning over agents in this way, assistance in future times of trouble can also be secured. In addition, as Lee Jae Won, the former chairman of the Korean Bar Association Committee on Human Rights in North Korea and someone who has interviewed a great number of defectors as author of the 2010 White Paper on Human Rights in North Korea, concludes, “Anti-socialist activities are extremely common for North Korean cadres in public positions such as prosecutors and judges.” The bribing of prosecutors and judges in exchange for leniency or to escape conviction is a daily occurrence, as much as bribing the security forces and cadres. Now much more so than in the past, cadres and agents are directly involved in the antisocialist activities. A Chinese-Korean trader who often goes between Dandong and Shinuiju told The Daily NK, “There are so many drugs in North Korea that even the officers supposed to be policing it are taking drugs themselves. Some of them even asked me to take opium to China and sell it. I go back to North Korea every year to visit relatives, and I’ve seen officers there doing bingdu (methamphetamines) with my own eyes. It is also said that the families of cadres are the main source of South Korean movies and dramas on DVD. Party cadres are, in effect, the very source of the Korean Wave that their bosses in Pyongyang ban on the premise of defending the state from the ‘ideological and cultural invasion of the South Chosun reactionaries’. Thus, while the central Party single-mindedly attacks anti-socialist behaviour, the cadres and agents who are meant to be carrying out the orders are deeply involved in the ‘anti-socialism’ themselves. The more crackdowns that occur, the more contact there is between the elite and security forces on the one hand and smugglers and traders on the other, offering more opportunities for symbiosis. It is for this reason that some claim the inspections are actually catalyzing the anti-socialism. Recently, younger cadres have started being posted to city and county units of the National Security Agency (NSA) and People’s Safety Ministry (PSM), according to sources. “The change to younger agents began last year, making men in their mid-40s who should be at peak capacity start looking over their shoulder,” the source added. The NSA and PSM represent the domestic force behind the Kim dictatorship, the tools of both policing and intelligence functions. As such, experts assert that if people loyal to the Kim Jong Il system are being replaced, that is another telling sign that North Korea is edging towards a system led by successor Kim Jong Eun. Even as late as the early 2000s, to become an NSA or PSM agent required an individual to have ten years of military service and two years of civilian work under his belt, and to have passed through a political college dedicated to the respective service. Having gotten a foot in the door, an individual needed at least three to five years to gain promotion through local agent, vice section chief, section chief, vice director and then director positions, and as a result one would often be in one’s 50s before reaching the vice director’s chair. Of course, family background and political conditions also had to be met. However, now there is an alternative course, with viable candidates being plucked from military service of only five or six years to enter an ordinary civilian college, and thereafter being stationed with the security forces. After which, following two or three years as an entry-level agent, those who enter via this foreshortened route are sent for six months of political education, graduating whilst still in their late 20s or early 30s. It is these individuals who are now emerging early into mid-level positions in the security forces. While it is claimed that this process is open to all soldiers with good backgrounds and represents an example of “Kim Jong Il’s consideration” of his subjects, the reality is that only a minority of young people, noticeably the children of cadres, can benefit from it, according to sources. Regardless of which, the Pyongan Province source said that this policy change is causing problems, with the younger men speaking disrespectfully to people who are below them but who society traditionally views as their elder. Alongside this, recently most new placements are far from an individual’s home. However, “These days, if you have money you can solve anything, so the interpersonal connections of these people make no difference,” the source concluded. 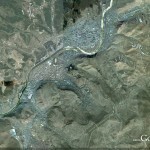 Pictured above (Google Earth): Hyesan City’s Kanggu-dong (강구동), Wiyon-dong (위연동), and Songpong-dong (송봉동) mentioned in the Daily NK story below. According to the source, there has recently been one other similar case in the city. In that instance, an NSA agent responsible for the Wuiyeon area killed himself at his house during April, apparently during an NSA investigation centering on the fact that an abnormally large number of defector families were there. In another instance, NK Intellectuals Solidarity recently reported a case from February, where an NSA agent covering the Songbong area of the city killed himself at the time of his arrest by smashing his head into a wall. In that case, however, the NSA investigation was focused around the sale of 1kg of narcotics. 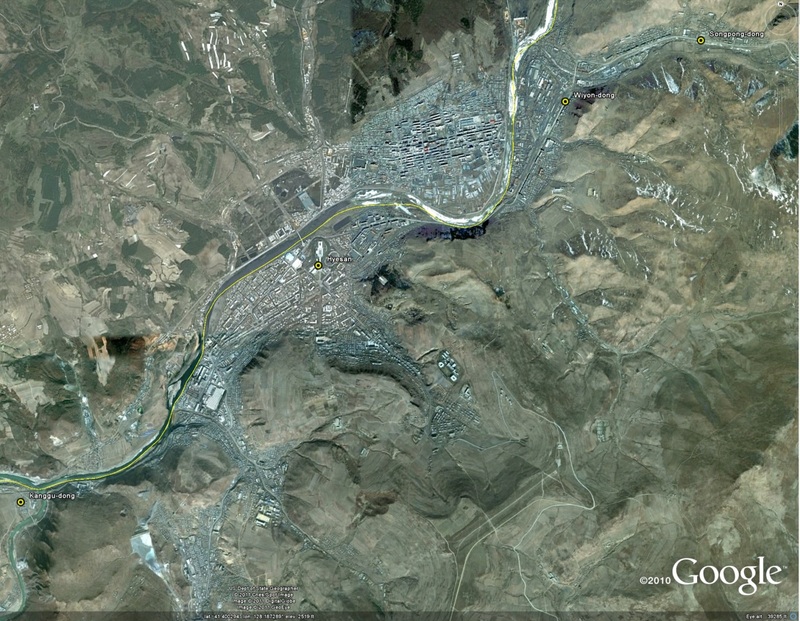 In North Korea, a local NSA agent is responsible for roughly 1,000 households or less. Through roughly 40 or 50 people’s unit heads and Women’s Union cadres, the agent obtains information on the activities of local people and passes on instructions to them, thus playing a key role in the preservation of the system. For smugglers and defectors, stepping outside this surveillance net is both important, and also hard. For that reason, smugglers commonly buy off NSA agents. Sources and defectors both agree that abetting defection is rarer, since it is punished more harshly, with whole extended families facing extreme consequences. Ordinary city residents, meanwhile, are not sad to see the back of any agent who takes his own life, the source added, pointing out that they are one of the most hated groups in North Korea. Hyesan is an ideal location from which to stage a defection. Though it is the capital of Ryanggang Province (Yangang, 량강도) , it is both geographically and administratively remote—on the Chinese and DPRK sides of the border. The border itself is a very shallow, sometimes dry, Yalu River basin which is lined in both directions with railway service. You are currently browsing the archives for the Ministry of State Security (MPSS, NSA, SSD) category.